Millions could benefit from what Android O makes possible. Android O might not seem like the most thrilling software update at first, but it just might be one of the most important. Google has been on a quest to capture and delight billions of new Android users for years with various initiatives. So far, scaling hasn't been a problem -- there are now 2 billion monthly active devices, and with Android Go, Google's hell-bent on picking up even more in developing and underserved markets. When phone makers install O on their low-end devices, they don't just get optimizations to make everything run better. They also get a different set of stock Google apps and a version of the Play Store that highlights apps designed for these limited devices. To be clear, Go — or whatever it winds up being called — isn't actually a separate version of Android, but a special configuration of Android O meant for low-end devices. And the most fascinating part? It's just tucked away in the regular O update, invisible to anyone whose phone has more than 1GB of RAM. "'Go' is sort of a focus on the lower hardware specs and mak[ing] sure Android works really well on it," Android engineering VP Dave Burke told Engadget. 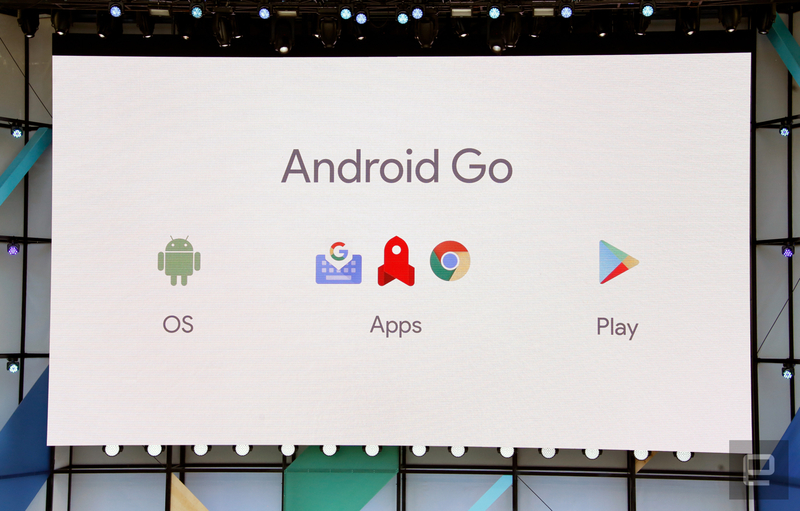 While O promises to pack performance and battery enhancements, its Android Go side might help it expand in ways earlier versions couldn't. Just look at the stats. Android 7.0 and 7.1 are collectively running on only 7 percent of devices worldwide. Last year's Marshmallow accounts for 31.2 percent of Android devices out there, and Lollipop is just about even with that. Meanwhile, Android 4.4 KitKat is still very widely used: meaning nearly 19 percent of Android devices are running software from more than three years ago. Needless to say, there's a wide variety in the experiences available to the world's Android users. That's partially due to how new phones are produced. When companies like Qualcomm or Mediatek cook up a new chipset, the next step involves figuring out which version of Android they can run and tuning it for compatibility. When these companies want to go after entry-level users, Android Go VP of product management Sameer Samat told Engadget that they often dig into the past for versions of Android that would run well without much horsepower. Sometimes, that means a new phone, fresh off the assembly line in 2017, will run Android 4.4 KitKat. Google's work with Android O, however, could change that. "What we've been doing is working with some of our SoC partners very early with O to get it brought up on entry-level chipsets," Samat said. In other words, Google is working with chipset makers to make sure they're aware that Go makes brand-new Android available on even modest hardware, removing the need for those companies to scrounge around for the latest version of Android that would run well. And when it comes to keeping those devices up-to-date, Project Treble is here to help. At its core, Treble keeps the Android framework separate from the software chipset-makers create to ensure compatibility and device performance. The wall between the two means Android can be updated without chip makers necessarily redoing all of their custom work. Long story short, this should make for easier, more frequent software updates. Between Google's focus on getting Android O and Go running on phones of all performance levels and Treble's ability to make sure updates can happen faster than ever, we might see the O experience spread like wildfire. The obvious upside is that people around the world, from very different economic and technical circumstances, could share in O's modern software foundation. To be clear, I'm just extrapolating — Samat definitively said that Android O wasn't designed to "solve fragmentation." Even so, this is very good news for anyone who buys an entry-level phone in the near future. What's still unclear is what happens to people out there who already have devices that fit the Go criteria. On one hand, Google seems unconcerned about the problem. Samat pointed out that many devices that fit the Go spec are running much older versions of Android, so they wouldn't necessarily get new updates anyway. "That is not something we've historically focused on," he added. "We're focused on moving this forward." 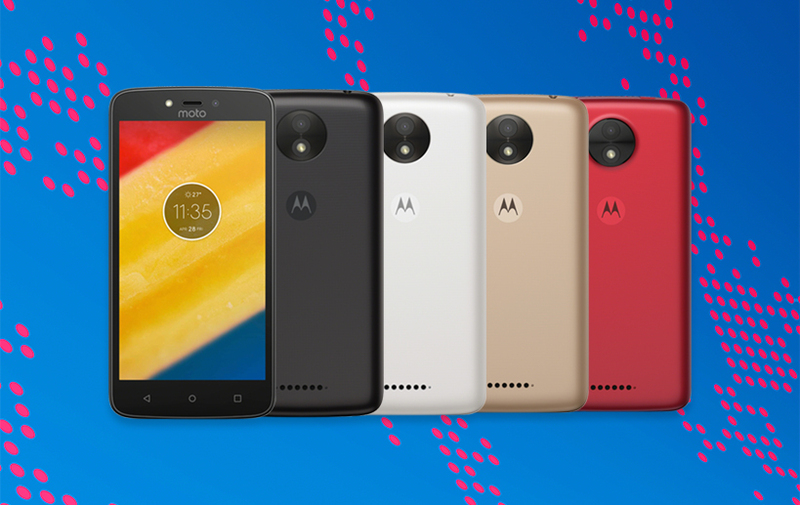 Even so, there are devices — like the newly announced Moto C — that only have 1GB of RAM and run Android 7.0. What happens if that device, or one like it, gets an Android O update? Will it get the Go experience or not? Samat says Google is currently in discussions with device makers, but nothing has been locked down yet. The issue is that Android Go has multiple parts, like that specially modified suite of Google apps. And therein lies the rub. "The problem is that once you have a phone with updates, we can't just change the apps on you," Burke told us. "If you were to buy a new phone that was Android Go, you'd have a different set of Google apps." Samat and Burke left the upgrade question on an uncertain note, but their willingness to point at ongoing conversations with device makers offers some hope that upgrades to Go-flavored Android O are possible. If nothing else, though, Samat said Google is "likely to make the Google apps that receive the Go treatment available to download" even if you don't have an entry-level phone. It's still early days for Android O and Go, so it's no surprise that many questions are still unanswered. While it may lack the whiz-bang features that get tech pundits drooling, Android O has the potential to be a more impactful success than any of its recent predecessors.